This project turns a toy hammer into a magic wand that produces different sound and light effects depending on the spell cast based on simple gesture recognition. The amount of components in this project combined with the small room requites a bit of cramfu to get all the parts to fit. The compact nature of this project and the number of components means it's a best for a somewhat experienced maker. There is a lot of wiring in this so it's best to take it component at a time. 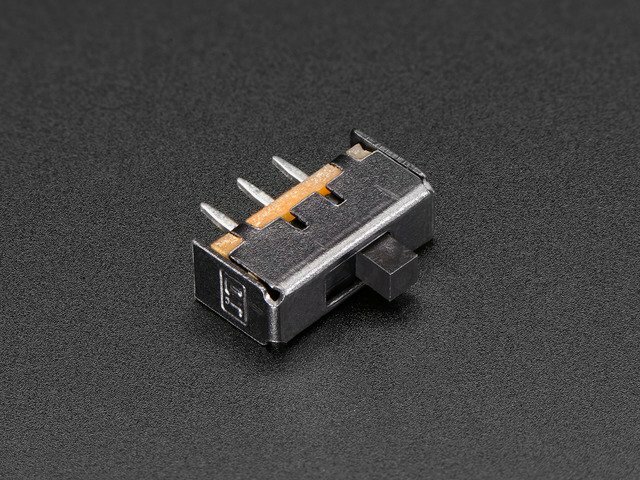 Also the exact pins used will depend on the exact placement of parts so keep that in mind as you are prototyping, as neater wiring helps with compact builds. 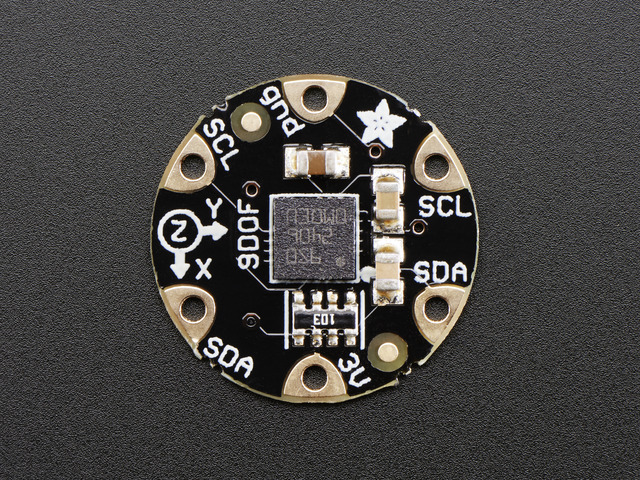 We will use the extra GND and 3.3V pads on the feather's prototyping area. 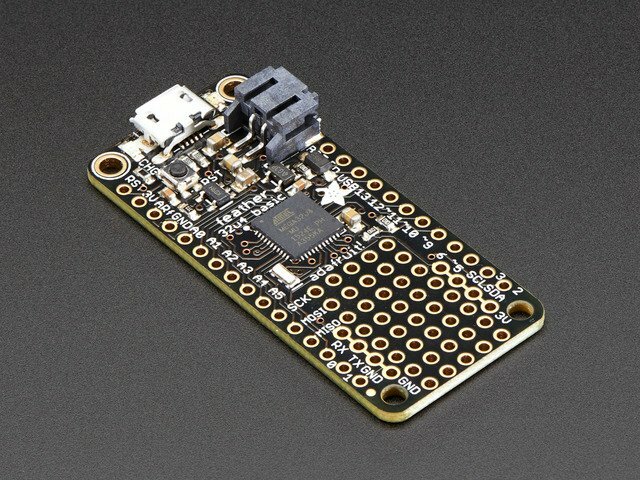 Additionally 3 parts will be connected to the battery directly the Feather, Audio FX board and NeoPixel Jewel. 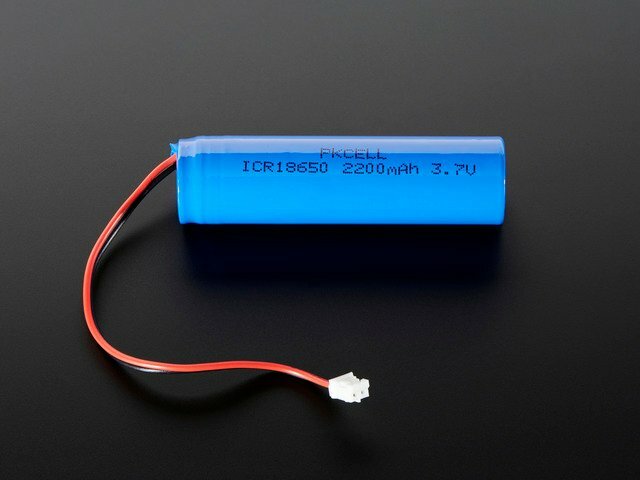 I found that it was easiest to connect all the direct battery connections using the prototype area on the Feather. For the wiring diagram the black wires are all ground. The solid red is connections to the battery where the dashed red is connected to the regulated 3.3V. We will actually use the JST connection at the bottom of this for the battery, meaning Vin on the soundboard will need to be attached to the BAT pin on the feather. For every wire you cut keep in mind where that wire will go and how long it needs to be. The two most complicated pieces to connect are the Audio FX board and the Feather. Essentially there will be two separate assemblies that will come together in the last few steps. The two boards will be close to one other with little room for wiring, so keep that in mind. 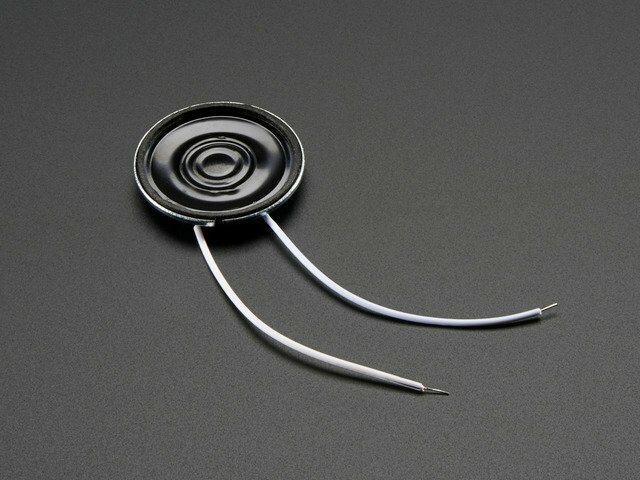 Precut wires of the appropriate length for the NeoPixels and the IMU, and solder them to the IMU and NeoPixels respectively. Solder a wire from the Feather BAT pin to the prototyping area, as the short red wire shows below. I found it was easier to solder the wires of the NeoPixels on top of the feather and IMU on the back side. 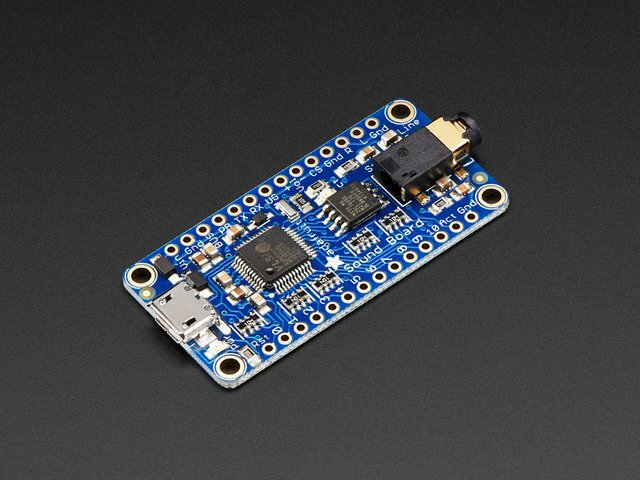 The IMU will be able to attach well at the back of the Feather connecting the SDA to pin 2 and SCL to pin 3. The 3V and GND on the IMU conect to the the prototyping area. The NeoPixels connect to pin 9, GND in the prototyping rail and the area on the prototyping area connected to the battery. Once this is done I recommend testing both the NeoPixels and the IMU to ensure they work and the solder joints are good. Bridge the back prototypic area so that the 5V from the NeoPixels connects to the BAT connection you made earlier. Load Arduino sketch with HARDWARETEST and PRINTDATA defined as 1. 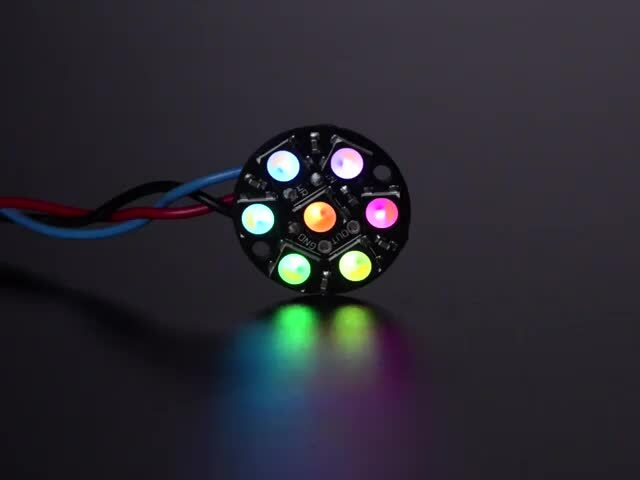 This makes is so that on boot up the NeoPixels will light in sequence, and then print out the sensor data to the serial port that can be viewed in the serial plotter. Make sure you have a battery plugged into the feather, the NeoPixles may give you problems running off just the usb. Next up is the Audio FX board. Solder short wires to Vin, Rst, Act, Rx, Tx, and GND. Also solder a jumper from GND to UG so the board works in serial mode. At this point I recommend using clips to temporarily test the connections for the Audio FX board, the serial communication and the audio transfer. Next remove the wires from the speaker and solder new wires from the speaker to the audio amp, remember plan out the wire lengths first. Measure and solder wires for the Vin and GND of the audio amp, these won't be connected till a bit latter on the feather. Finally add a jumper from GND to A-, and a wire from the audio output (L or R) of the Audio FX board to the the A+ input of the amp. The final step is soldering the two sets modules together. This soldering is a bit more complex and it is essential that you cut the wires to the correct length, too long and they won't bend, too short and you can't solder them. First solder the Vin and GND on the audio amp to the underside of rails of the prototype area. Next solder the Vin of the Audio FX board to the BAT connections you made earlier in the prototype area. Cover the bottom of the feathers propitiating area and the top of the Audio FX board in electrical tape, this will help avoid any shorts. Also find something that can help cushion the boards from one another, I found that a cut up packing peanut works well. Since Vin is connected next connect TX and RX from the Audio FX to the feather, since these are all on one side you can keep the two boards open like a glasses case to make the soldering easier. Finally solder the GND, Rst, and Act wires from the Audio FX board to the Feather. I found that by leaving enough wire for the boards to have a 3/4” gap between them it was a good balance between ease of soldering and lack of excesses wire. After those are soldered place the spacer (packing peanut) between the boards and carefully push them together making sure the wires bend neatly. I found that it was helpful to use blue tape to hold the two boards together to avoid risking damaging any wires. Once done perform a fit test with the components and test everything is working. Now run the Arduino sketch again, with HARDWARETEST defined as 1 but PRINTDATA as 0. Now on boot up the Arduino should play BLAST01.WAV during the setup. If it is unable to connect it will print out on the serial port and you should check the RST, TX and RX lines on the Audio FX board. If the error is about how it failed to play the file, make sure you transfered the sound clips to the board correctly and remembered to properly eject it. Now to deal with powering the wand. Figure out where you want the power on off switch to be, ideally hidden, the toy I chose has a rubber piece that slides over the bottom that I will use to hide the switch. Cut out room in the toy shell for the switch in the chosen location. Cut off the JST connector from the battery, unfortunately in this build there isn't enough room for using the JST connector. Take the positive wire from the battery and solder it through the switch so that the switch cuts off the battery from the rest of the project. Guide the wires around the battery and finally hot glue the switch and the battery in place. Solder the wires from the switch and battery to the pads for a JST connector on the bottom of the Audio FX board. At this point all of the soldering is done. Test that all the components work and that all the connections are good. The wand should run on battery power, and can still be charged through the usb on the Feather. Once everything is checked out glue down the amp, speaker and IMU. Try and make the IMU and square as possible. 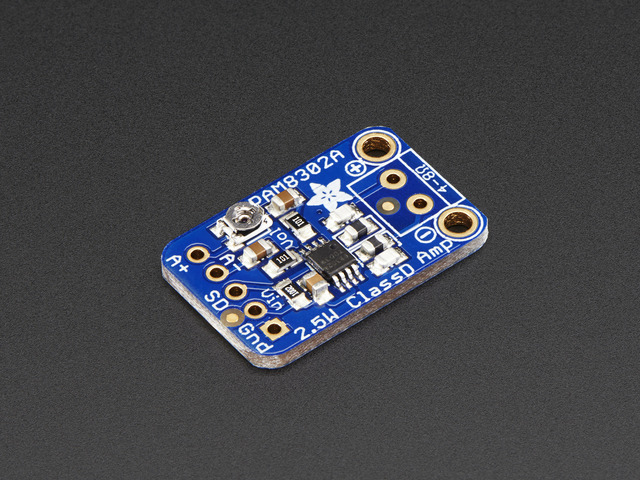 With the IMU glued down, it's now possible to calibrate the settings on the motion detection. Attaching the frosted glass piece will be varied depending on the exact piece of glass you get, I was able to buy a large pack that had various sizes and shapes. I went with a piece that was a bit large so I had to cut away a bit of the shell, but if you went for a smaller piece this wouldn't be necessary. I used clear hot glue to glue the crystal to the side of the shell with electronics. Mess around with different placements for the NeoPixels to get the best light output (you can also use high grit sandpaper to remove frost part of the crystal if necessary). Once figured out glue down the NeoPixels as well. Finally combine the two shells together, I had to remove a bit around the crystal to make it fit. If there are gaps you can use the hot-glue as an opaque filler, just make sure to keep the ability to open the shell. Hot glue doesn't stick to cooking spray so you can get some on the seem and the crystal and then fill in the gaps. Charge the battery with the usb port and flip the switch and start casting spells. This guide was first published on Mar 28, 2017. It was last updated on Mar 28, 2017.